September 12-20 was National Drive Electric Week. The initiative aims at raising awareness of all-electric vehicles that, “…are fun to drive, are less expensive and more convenient to fuel than gasoline vehicles, are better for the environment, promote local jobs, and reduce our dependence on foreign oil”. Some of that sounds like a political agenda. But there are some compelling reasons to a least try an electric vehicle, if not just for the novelty. We won’t lie, it took quite a bit of convincing for us to even consider the idea. Electric cars just aren’t our thing. In the end, the timing was right and we couldn’t justify passing on an opportunity to sample one. Of course, when you’re trying to raise awareness of the benefits of EVs, you do come up against the argument of price. 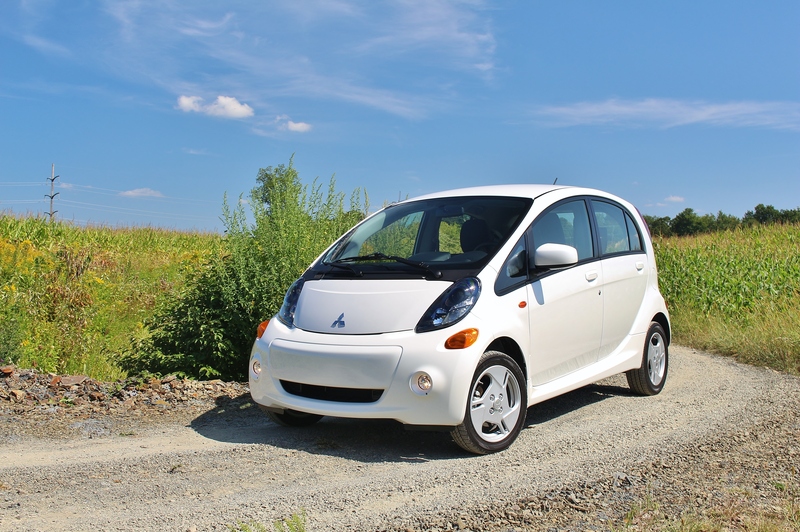 So we started with the most affordable 100% electric vehicle on the market today, the Mitsubishi i-MiEv. The i-MiEv starts at $22,995. Add in the only option, the $2,000 Navigation Package, and the Mitsubishi reached $25,845 before the $7,500 Federal tax credit. Underneath this adorable orb, a 16 kWh lithium-ion battery powers a 49 kW motor. That translates into a 66 horsepower engine with a 62 mile effective range. This is a city car. It’s small, nimble, and works great in traffic. But we don’t live in a city. So how would the i-MiEv experience be in the country? We kept a log of our first EV experience to find out. Day 1: The car arrived fully charged with the onboard indicator showing an optimistic 73 mile range. With temperatures forecast to reach 93 degrees, I’m going to need that air conditioning. Turning on the A/C drops the range counter to 64 miles without even leaving the driveway. My daily commute is 42 miles round-trip so there should be no issue, but there are no charging stations on my route should I need to top up. I won’t be charging until I’m home again. 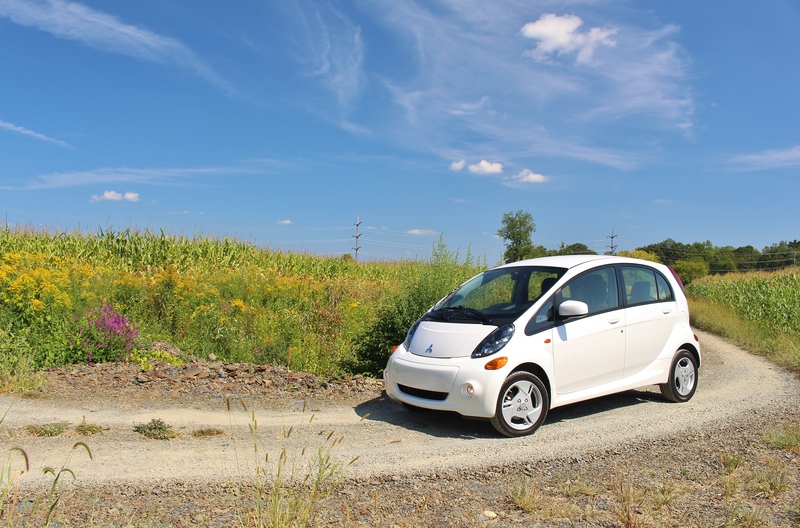 The i-MiEv passes the test. I arrived at work with 41 miles of range and returned home with 23 miles left over. Day 2: I awoke to a problem. The car didn’t have time to fully recharge overnight. The i-MiEv arrives with an 8A/12A Level 1 charging cable. My garage is only capable of using the 8amp, 110V charging system. In EV speak, that’s Level 1 and translates to a 22 hour charge time. Had my garage had a 12amp, 220V circuit, the charge time would drop to 14 hours. Exchanging a once-a-week, 5 minute stop to pump those horrible hydrocarbons into my car with a nightly, 14-hour charge doesn’t exactly come across as “more convenient”. Until I did a bit of mental math. With 12 miles to go, the Mitsubishi showed just 16 miles of range left. Knowing the last 2 miles climbed steeply uphill, I shut off the A/C and dropped into Eco mode. Eco mode reduces battery output and increases the intervention of the regenerative brakes. I ran through several what-if scenarios if I found myself stranded. None of them seemed like very much fun. I changed my driving style – slow gentle acceleration, minimal braking. I needed to be efficient as possible. As the temperature in the car began to rise, I narrowly skirted through a yellow light…stopping would have cost too much energy. One sweat-drenched shirt and many chewed finger nails later, I arrived with 4 miles to spare. Range anxiety is real. This, of course, lead to another problem. Even after arriving at my destination and convincing my friend to let me borrow some electrons, I faced an almost 20-hour wait to sufficiently recharge for the return trip. After 7 hours, the i-MiEv had only gained 25 miles of range. 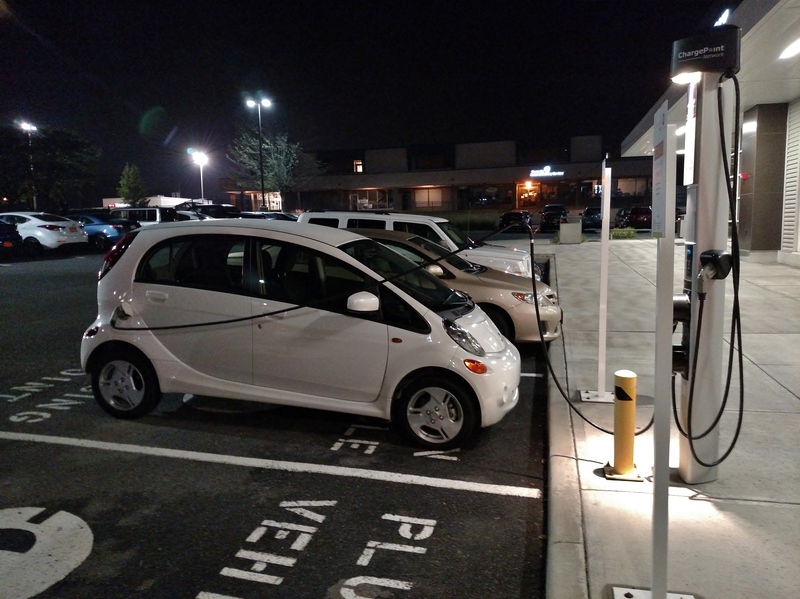 A quick search on the i-MiEv’s touchscreen navigation system lead to the discovery of a free charging station at a nearby gym. Thankfully, the gym was next to a bar. I had sweat enough for one day. The Level 2 charging station was managed by ChargePoint, a company that boasts almost 24,000 charging locations across the globe. To use the ChargePoint station, you need a ChargePoint account. To get a ChargePoint account, you need to sign up online and be mailed a card. You scan the card at the charging station and it releases one of the plugs. None of this does you much good when you’re standing in parking lot at 8:00pm without enough range to get home. There’s also no credit card reader or bill slot on the machine. Thankfully, ChargePoint has a helpful app, also not advertised on the machine, where you can register, sign in, and unlock the charger. The app also tells you, based on which vehicle you register, how many miles are added per hour. Just over two hours later, I had enough range to get home. I plugged in the i-MiEv with 12 miles left. Day 3: Yesterday’s late return and the i-MiEv’s 22 hour charge time meant I didn’t have enough range to go round-trip to work the next day. 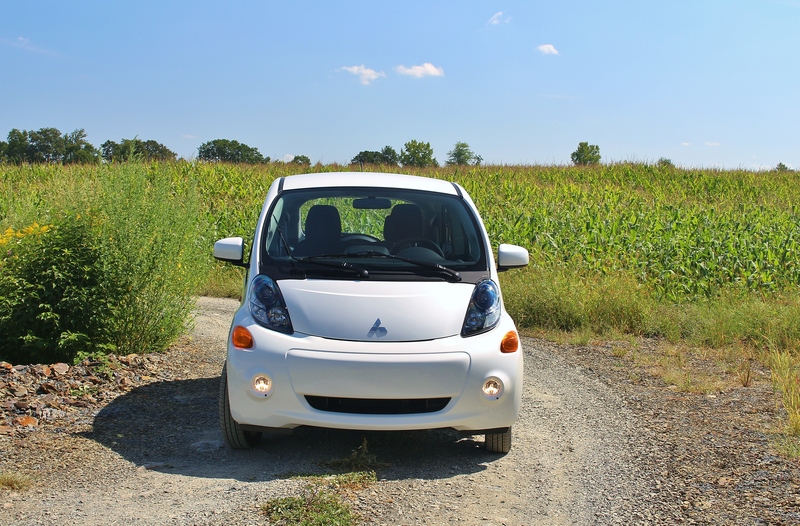 If the premise was to use the i-MiEv as a daily driver, it failed halfway through the test. Back to internal combustion for a day. Day 4: With a full charge and full Saturday morning to-do list, the i-MiEv is finally in its element. Around town, the instant torque from the electric motor makes it perfect to jump into traffic. There’s no long trip to induce anxiety. With regenerative braking in its most aggressive mode, you learn to drive with a single pedal. It’s the most efficient method and acts as some level of mental escape from the i-MiEv’s interior. For the most affordable EV to stay inexpensive, it gets minimal luxury treatment. Hollow plastics and hard, manual seats show the true price of frugality. The owner’s manual rationalizes the standard heated seats as more efficient than the HVAC system as a means of warming up on cold mornings. We wouldn’t know that if the switches had been mounted somewhere rational. Day 5: Sometimes the hardest thing about a car is finding a location to photograph it. Not so with the i-MiEv. This is a city car being used well outside its comfort zone…in a county where someone’s other car could legitimately be a tractor. We want to show it as such, so it was off to a corn field. 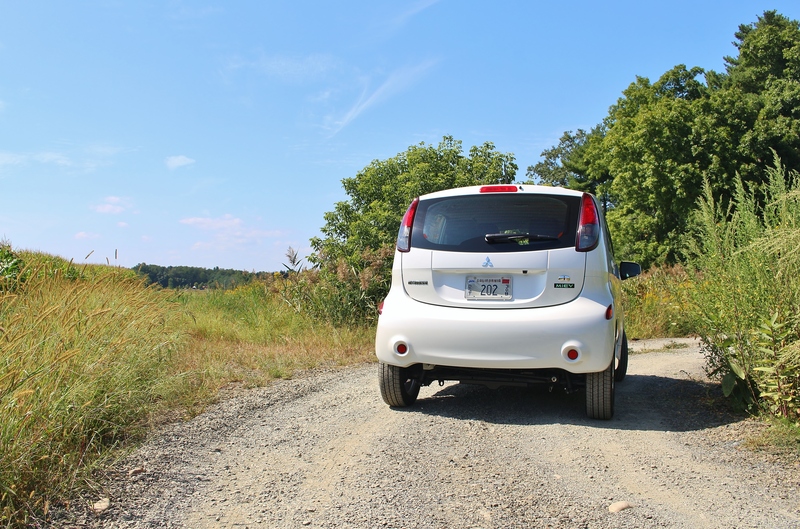 The soft hum of the electric motor and the crunch of gravel under the narrow tires are the only noises present as the i-MiEv crawls down the dirt access road. This must be what David Scott experienced as the first man to drive on the moon. Sort of. Day 6: The last day with the i-MiEv was much like the first; 64 miles to start, plenty of air conditioning, and 24 miles when it was said and done. What had left, after a week to get acquainted with the most affordable EV on the market, was the trepidation. There’s a first time for everything. And the Mitsubishi i-MiEv was the logical place to start. It exposes you to the bare minimum capabilities of the electric car. Its unabashedly inexpensive on the EV spectrum, but undercut by one of its own stablemates. For just over $17,000, you could have a similarly equipped Mitsubishi Mirage. With a 9.2 gallon tank and an EPA average of 40 mpg, it has an effective range in excess of 350 miles. 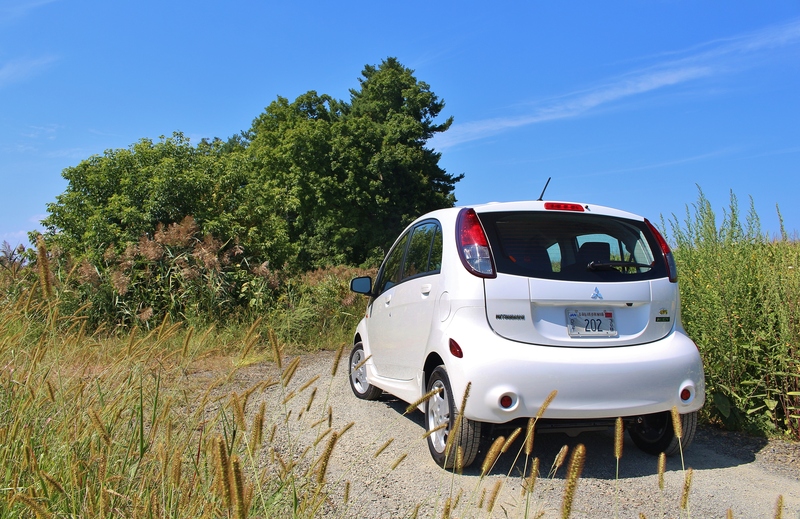 During the course of the week, we traveled less than 350 miles, recharged 7 times, and had to leave the i-MiEv behind once. As a daily driver in Upstate New York, it just doesn’t work. There are cases where the electric car is a viable alternative. Parts of the country have a more mature EV support network. You don’t have to spend much more to own an EV with a larger operating range. And the lack of regular service intervals is an incentive to some audiences. But the i-MiEv is a niche car in a niche segment. And if you aren’t one of a very small percentage of people, that makes it very hard to justify.